The developments could see up to 48,000 new properties built across the 14 sites, based all around the country, from Cornwall to Cumbria. With no set design for each development, the only requirement is that each village is of high quality and is well designed. Rather than build onto existing towns, a new community shall be built and include its own schools, local amenities and transport links. Housing and Planning Minister, Gavin Barwell stated: “Locally led garden towns and villages have enormous potential to deliver the homes that communities need.” Classic Folios welcome this announcement and believe that their homeowner content can support the development of new communities, providing new homeowners access to community-led information. 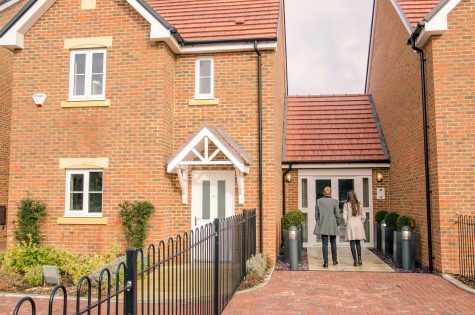 Over 250,000 homes need to be built per annum to keep up with the growing population and the garden villages could support this, as well as create jobs and help boost the economy. It will also help the government meet their target of building one million new homes by 2020. These new builds offer a great opportunity for house builders across the UK, helping them meet the high targets they are set each year.